Erlas Victorian Walled Garden were chosen as one of three local projects to benefit by sharing 1% of what customers spend on Co-op branded products. The voting took place, on line, by members of the Co-op from April to November 2017. We were thrilled to learn that at the end of the voting ’round’, we would be awarded £4967.47, alongside the ‘Homestart’ and ‘Tenovus’ Charities. 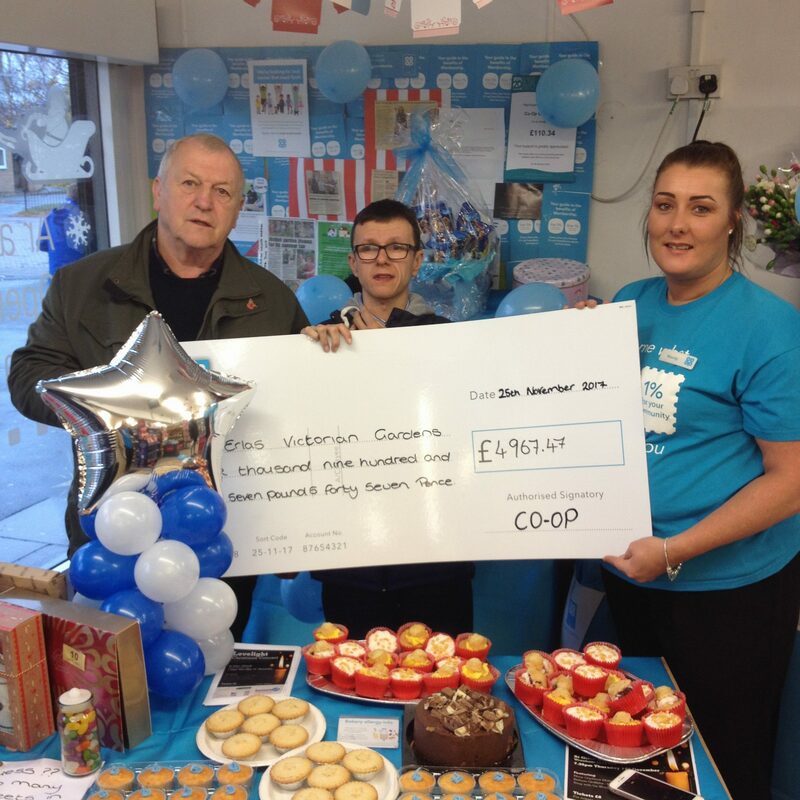 On Saturday 25th November, we were invited to receive a ‘big’ cheque from staff at the Caia Park Co-op, in Prince Charles Street, Wrexham. The picture shows Ian and Dan Macinnes receive the cheque from staff member, Wendy. 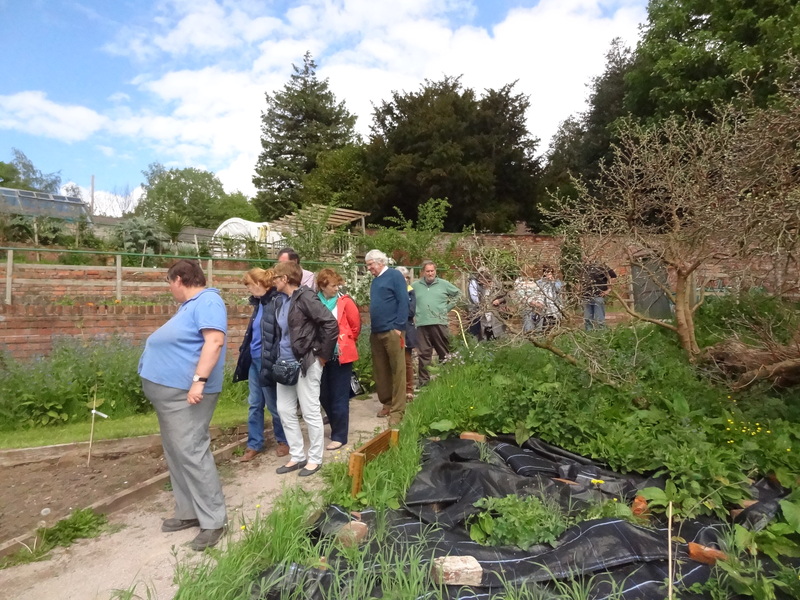 The funding will go towards improving access around the walled gardens, and into the wild-life areas. A big ‘Thankyou’ to everyone who voted and to the Co-op too! We have also been running the project; ‘Bird watching for Twitchers of all ages’, and have run sessions every 1st Monday morning of the month since September; (although our beneficiaries also like joining in, and identifying our feathered friends as they feed). 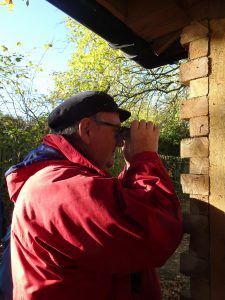 Last Friday, we were visited by 14 members of the Alyn Waters Nordic walking group, who were thrilled to see at least 13 different bird species visit the bird feeding stations. 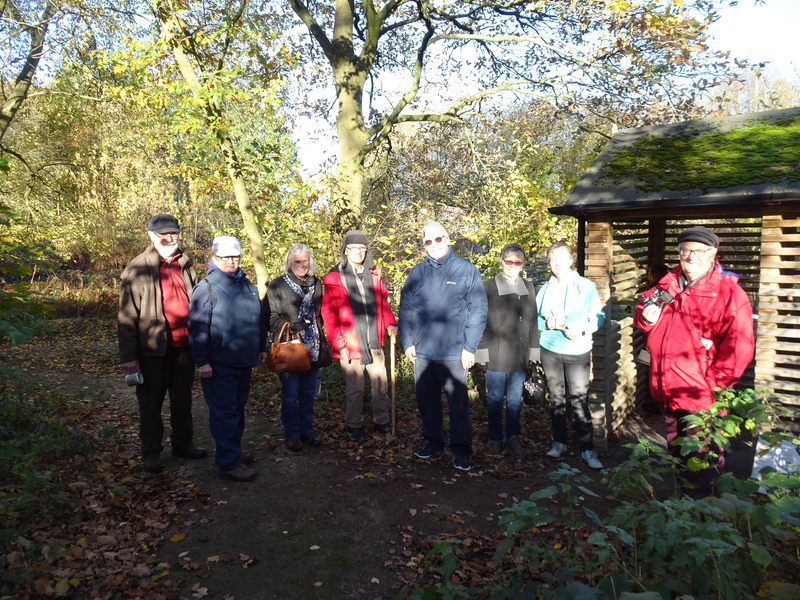 Coffee, tea and biscuits were provided by Sheila Meadows, and the group enjoyed walking around the gardens and the woodland, and one or two visitors said that they would be back to bird watch again. 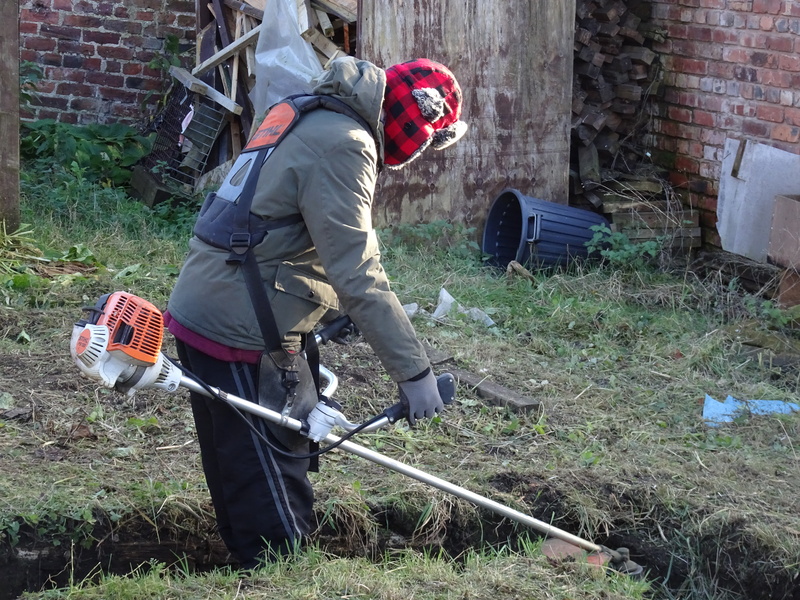 Alyn uses the strimmer bought from the Wrexham Community Endowment Fund. A hedge strimmer, also purchased from this grant, has enabled our students to learn how to operate such equipment safely, and gives them opportunities to practise their skills for family and friends at weekend too. Pumpkins’ final week at EVWG, plus our gratitude to the late Trevor Lewis and his family. Previous Previous post: A Busy weekend at EVWG! 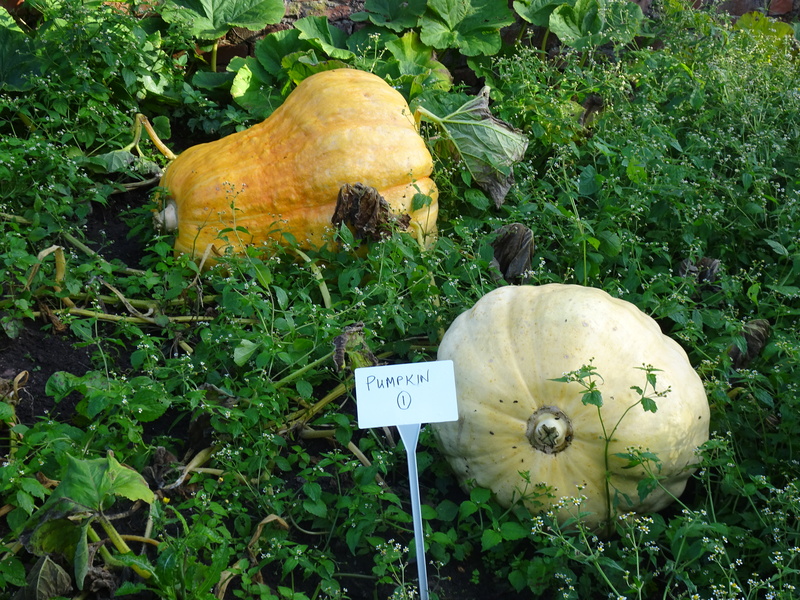 Next Next post: There’s still lots to do it in the Garden in December!